Since beginning her career with CFS in early 2018, Monette (affectionately known as “Moe” to everyone she works with) has become an asset to the Bryant Residence. Moe takes initiative during every day and emergency situations to ensure the safety of our residents. She has built and maintains positive relationships with Bryant’s residents as well as with her colleagues. Moe develops trust because she has genuine interest in what makes individuals happy and then she helps them explore possibilities to further this happiness and confidence. 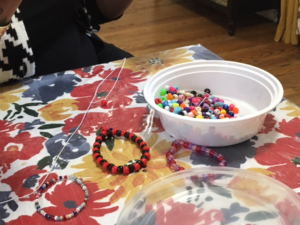 This is exactly the approach she used when she noticed one of the residents – Coletta – enjoyed making pretty necklaces and bracelets. Moe supported this hobby by helping Coletta pick out different beads at the local store. She also suggested that Coletta make flyers to hand out to people who were interested in her jewelry. 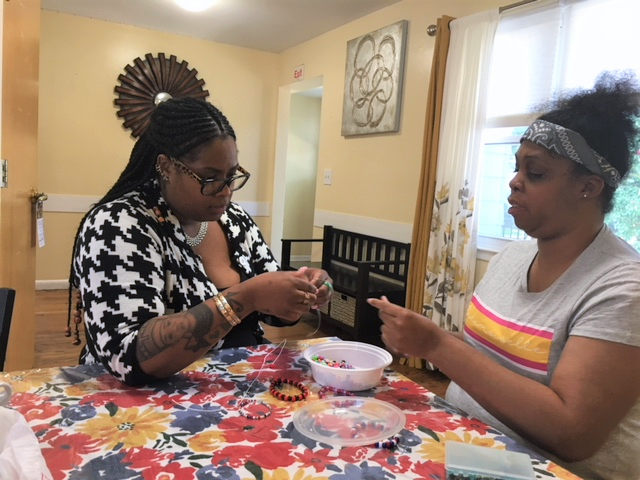 The jewelry business has facilitated growth within Coletta by taking an activity that is meaningful to her and teaching her how she can use this talent to feel productive and promote her confidence. Through her teamwork, leadership skills, and integrity, Monette has proven to be a star employee.